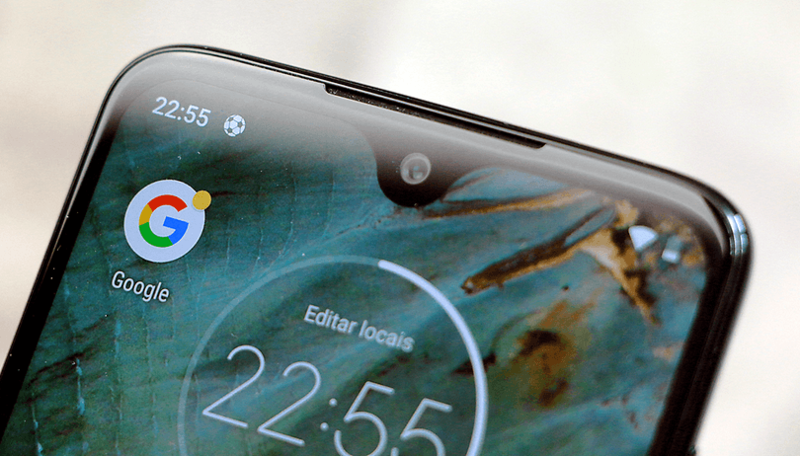 Last year Motorola didn't bring a real flagship smartphone onto the market, apart from the Moto Z3, which was sold with outdated hardware only via Verizon in the US. But this year it will be different and with the Moto Z4 a real high-end device will launch once again, which still offers Moto Mods. At least this is what 91mobiles published pictures of the Moto Z4 from the front and back suggest. The smartphone resembles the Moto Z4 Play already seen in other pictures. However, according to information from 91mobiles, such a Play model is not supposed to exist this year, which is why it may have been the "normal" Z4. On the front side, the display is surrounded by narrow edges that are slightly wider at the upper and lower ends than on the long sides. In addition, there is a small notch at the upper edge of the display in which the front camera is situated. Since there is no room for a fingerprint sensor at the front and the power button appears too narrow for integration, the biometric sensor could end up behind the display in line with the current trend. On the back, there is no space for it, because here you can see the connectors for the well-known Moto Mods. Does the Motorola flagship have a single main camera? What is striking here is that the smartphone only seems to have one main camera, which is supposed to be a 48 megapixel, although even the mid-range models of the manufacturer now have two sensors. Maybe Motorola wants to offer more options for photographers with new mods, after the Hasselblad True Zoom Mod was rather average. Under the hood, there is probably the current high-end SoC Snapdragon 855, with at least 6GB of RAM and 64GB of internal storage. Android 9 Pie is expected to be the operating system at launch. However, one should view the leak with a good portion of skepticism. It sounds rather unlikely that Motorola will suddenly rely on just one camera for its flagship. The return of the headphone jack predicted by 91mobiles also sounds more like a Moto Z4 Play. Who is right here? We should know on April 3rd, the date present on the leaked press picture. This could be an indication of the date the Moto Z4 will be revealed. What do you think? Is this the Motorola Moto Z4 only going to have one main camera? Will it bring a special Moto Mod to the people? Let us know in the comments.